Cheers to a Gorgeous Life! : What's In A Name? As soon as we found out the gender of our baby, hubby and I started brainstorming for his names. Names because we decided he should have 2 given names. Not because this is the uso (trend) nowadays, but we want to follow the French tradition in naming a child. A French friend told me that usually they have 2 given names. The first one, in most cases, is used in daily life. The 2nd is usually kept private (or not used daily) but should be written in official documents. 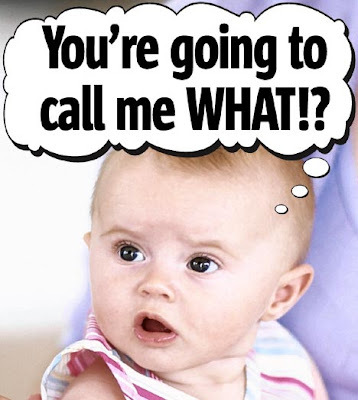 What is interesting and truly meaningful that made me decide I would want to name my child the french way is that the habit in choosing the 2nd name is to name him/her after a relative (child's grandparent, aunt/uncle, etc) or a dear friend that the parents want to honor. Since our child is a boy, hubby and I immediately had two options... our fathers. I love my dear Papa very much but I do not want my son to grow up a babaero (womanizer) like him. LOL. Thus, he is going to take my father-in-law's (FIL) name as his 2nd name. Bola aside (flattery aside) FIL has many admirable qualities and we want our son to look up to him. This is hush-hush for now so don't tell my FIL about this as we want to surprise him. Your Expression is represented by the number 8. The 8 Expression is well-equipped in a managerial sense. You have outstanding organizational and administrative capabilities. You have the potential for considerable achievement in business or other powerful positions. You can expect to receive the financial and material rewards. You have the skill and abilities to establish or operate a business with great efficiency. You have good judgment when it comes to money and commercial matters, and you understand how to build and accumulate material wealth. Much of your success (or lack of it) may come due to your ability (or inability) to judge character. With the number 8 Expression, you exercise sound judgment in most of your affairs; you are realistic and practical in your approach to business matters. Oooohhh I can just imagine my future. Vividly. Me: Son, your Dad and I are bored. We wanna chill in France. My dear son: Sure mummy! (Take note it's British accent…) I'll send over the private jet this afternoon. Gosh, I am surely gonna retire a donya. Ah la belle vie!